Phishing is an online scam. It involves impersonating one company or institution (a bank, electricity company, Tax Administration, etc.) by using elements of its corporate identity. Unfortunately, falsifications of e-mails that these entities send their customers are common. They often imitate the company’s logo and even the appearance of their official website. The cybercriminals’ aim is to make you think you have received official correspondence from a company of whom you are a customer. They hope you will then enter sensitive personal data. 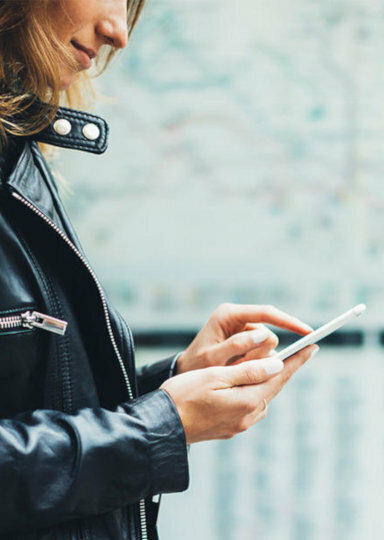 We have detected incidences of phishing simulating notifications from Endesa informing customers of a refund on a bill for which payment was apparently taken twice. In this e-mail, the user is prompted to click on a link to receive a return for a sum paid of. 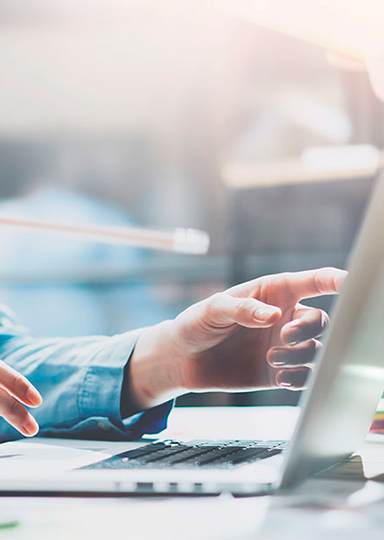 When they click on that link, users are redirected to a false Endesa web page with a payment portal, the aim of which is to acquire their credit/debit card details. In another fraud detected, the user is advised through an e-mail that the bank has rejected a charge and a link to resolve it is provided. 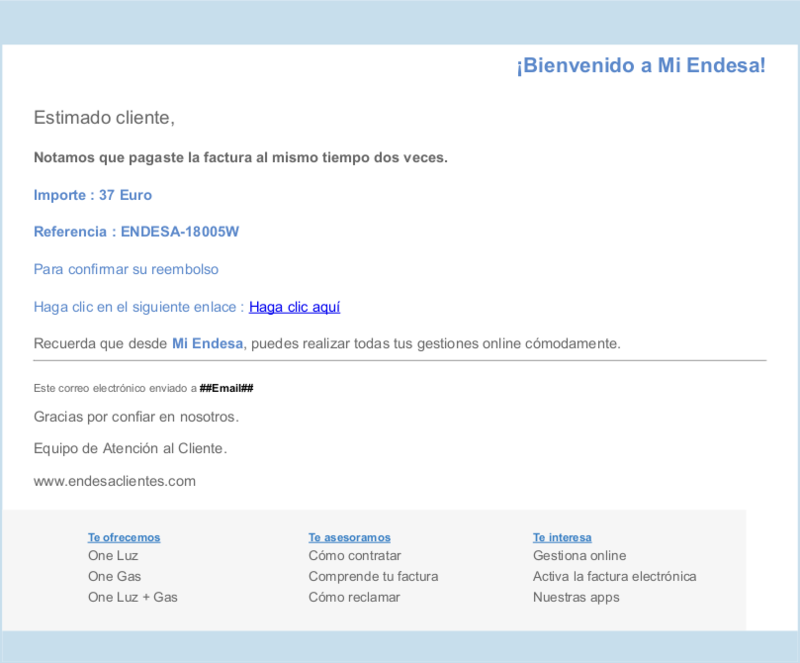 In all cases, ignore these e-mails and, if in doubt, always go to the official Endesa customer service page: www.endesaclientes.com. We are doing everything we can to combat this online attack, and will keep you informed of any relevant developments. 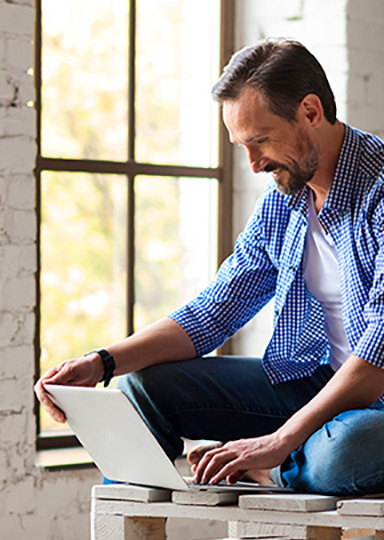 Your data is secure with Endesa. What is Endesa’s telephone number?